The production of chlorofluorocarbons, which damage the ozone layer, has been banned as far as possible. However, other substances can also tear holes in the ozone layer in combination with ice particles, such as those found in clouds. 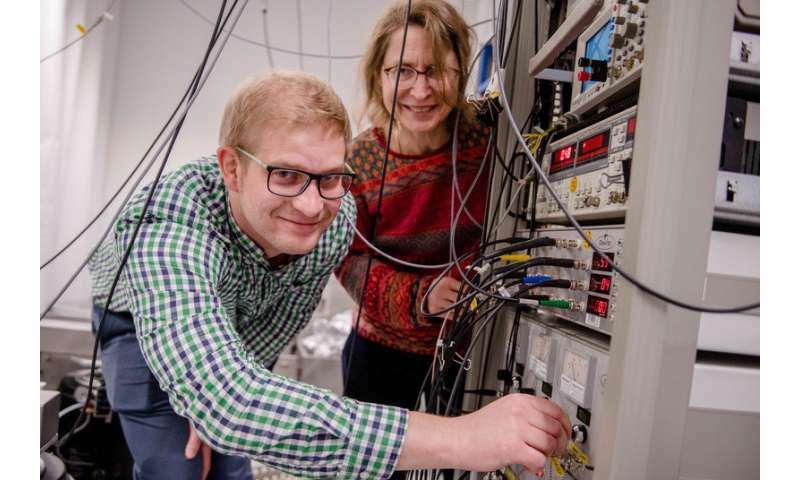 Researchers at Ruhr-Universität Bochum, the University of Duisburg-Essen and Friedrich-Alexander-Universität Erlangen-Nürnberg have discovered a possible mechanism for this. They describe it in the journal Physical Review Letters on 13 November 2018. The work was part of a long-standing cooperation between the teams from Bochum, Duisburg-Essen, and Erlangen-Nuremberg led by Professor Karina Morgenstern, Dr. Cord Bertram, Professor Uwe Bovensiepen and Professor Michel Bockstedte, which is currently being continued within the framework of the cluster of excellence Ruhr Explores Solvation, or Resolv for short. "The mechanism could explain what happens when UV light hits mineral-contaminated ice," says Cord Bertram. "Our results could thus help to understand the fundamental processes behind phenomena such as ozone holes."